Boom! Last year's Independence Day pyrotechnics display above San Diego— the biggest in the county. Boom! Last year’s Independence Day pyrotechnics display above San Diego— the biggest in the county. Here are our 5 favorite travel finds of the week—just in time for the long 4th of July weekend! Get in a full day’s 4thIf I could pick one place in the West to celebrate the 4th of the July, it might just be Coronado, California. Independence Day starts early in this small community across the bay from San Diego: At 5 a.m., lawn chairs and blankets begin lining Orange Avenue for the Independence Day Parade, at 10. The two-hour march of bands, police officers on horseback, and sailors draws thousands—but it still feels friendly: The police wave to kids in the crowd, and the sailors are locals, stationed at Naval Base Coronado. Finding a place to watch San Diego’s fireworks, at 9 p.m., is far easier; the explosive show is visible from most of eastern Coronado. If you want a front-row seat for the show, head to Centennial Park. 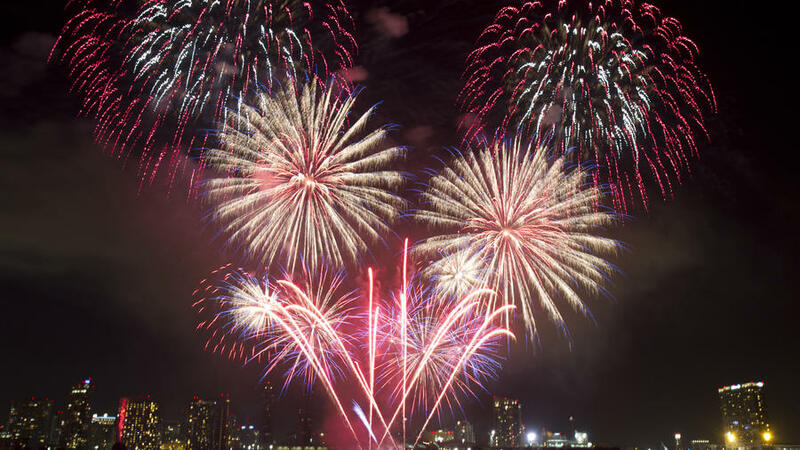 Watch fireworks…Can’t make it to Coronado? Here are more great places to see fireworks around L.A.; on the beach; around Seattle; in Portland; and in Denver. …Or shooting starsRather spend Independence Day in the great wide open? Sunset’s guide to the best last-minute camping in the West has you covered. Capture your memoriesAce travel photographer Whitney Tressel shares easy tips for taking great vacation photos. Want more travel inspiration? You can find past travel roundups here, here, here, here, here, here, and here!